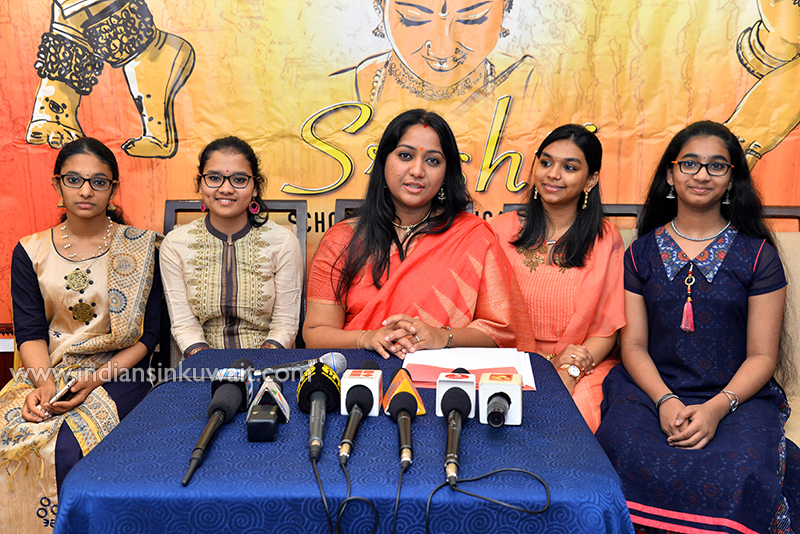 Kuwait based Indian classical dancer and founder of Srishti School of Classical Dance Smt Vinitha Pratish announces her new project "Sampoornam" for the benefits of Bharathanatyam dancers. Sampoornam is the complete guide to Bharatanatyam adavus, that aims to compile all the Bharathanatyam adavus in a sequential order with high quality audio and videography, which will be available online free of cost. The first series of this online guide will be available to public via her YouTube channel "Vinitha Srishti" on this Thursday, April 11th, Vinitha Pratish told in a press briefing here. "This is to encourage the students, teachers and parents to realise the importance of knowing the basics and will serve as the reference guide of the adavus" Vinitha said. "One must essentially know the adavus in order to understand this dance form. Just like how alphabets are importance to form words and phrases, adavus are very importance and form the foundation of any classical dance form," she added. New lessons will be added to this online channel every Thursday. The compilation will consist of around 70 adavus and a few choreographed korvais that are traditionally used in Bharathanatyam. All lessons are shoot in a high quality standard and are performed by her students from Srishti School of Classical Dance Kuwait. Several students learn dance for few years and keep it aside as they get busy in studies and moves into different walks of life. After several years when they realise their inner calling to get back into art, they are lost and don’t know where to start. Tis guide will be the best way they can start off even after a long gap. Knowing the adavus can help the student and teachers enter the world of choreography. "This is not a tutorial or a learning tool as we believe that learning must be strictly done under the guidance of a teacher," Vinita said. Her students Ananthika Dileep, Anjali Nair, Dheera Rakesh and Kavya Vaidyanathan were also present during the briefing. The students demonstrated some adavus during the press briefing. Srishti School of Classical Dance was initiated in Kuwait in 2017 by Vinita. She has been conducting shows in Dubai, Abu Dhabi and Kuwait and has set her own niche where she has trained and moulded budding artists to reach a professional level. In this fast-paced modern era, it is highly appreciated that someone is upholding the classical art of dance beacon to keep the traditional form of arts alive. All the Best. Thanks for keeping our tradition globally alive.